Black Sabbath draws upon gods who are older than Satan. Dionysus and Apollo, pagan gods from ancient Greece, were there with Black Sabbath at the birth of heavy metal. Nietzsche wrote about the importance of the satyr chorus in ancient Greek tragedies. Wild, horny goat men, satyrs became the Christian model for Satan. Heavy metal iconography invites us to see past those satanic images to the lustful satyrs of long ago. 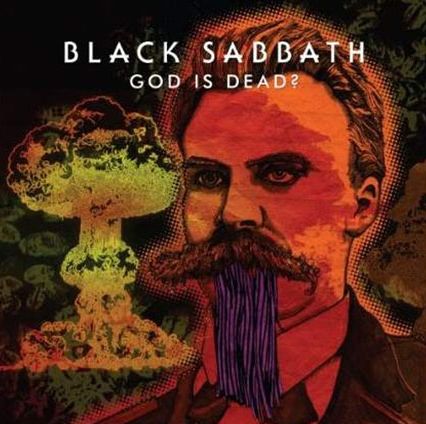 This according to “Gods, drugs, and ghosts: Finding Dionysus and Apollo in Black Sabbath and the birth of heavy metal” by Dennis Knepp, an essay included in Black Sabbath & philosophy: Mastering reality (Malden: Blackwell, 2013, pp. 96–109). Above and below, the group’s Grammy Award-winning God is dead? 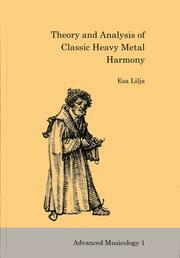 In October 2009 the Finnish branch of the International Association of Music Libraries, Archives, and Documentation Centres (IAML) inaugurated the series Advanced musicology (ISSN 1798-3754) with Esa Lilja’s dissertation Theory and analysis of classic heavy metal harmony. The book’s author explores the implications of the harmonic language of heavy metal from the late 1960s to the mid-1980s, with examples from bands including Black Sabbath, Led Zeppelin, Judas Priest, and Iron Maiden.